By Nicolás Bohórquez on October 18, 2018 . What does it take to design a good API? Let’s take a look at that question by considering some of the mistakes that developers commonly make when creating APIs. Consistency could be defined as “agreement or harmony of parts or features to one another or a whole”. When you design an API, it signifies that you keep your decisions aligned to a single line of thought in several aspects. By Neil Mansilla on January 08, 2016 . The Runscope API provides access to the data within your Runscope account. This includes access to read, create, modify and delete nearly every type of resource — from tests, environments, schedules, test results, request logs to buckets. The API makes Runscope incredibly pliable, helping Runscope to fit into how your team develops, tests and deploys software. By John Sheehan on January 23, 2015 . A popular format for RESTful API schema formats is JSON Schema. It's a well designed spec that is extensible, easy to read and write, and supports canonical and inline referencing/dereferencing. We’ve recently shipped an update that gives Runscope Radar assertion support for JSON Schema validation by way of the Chai assertion library. 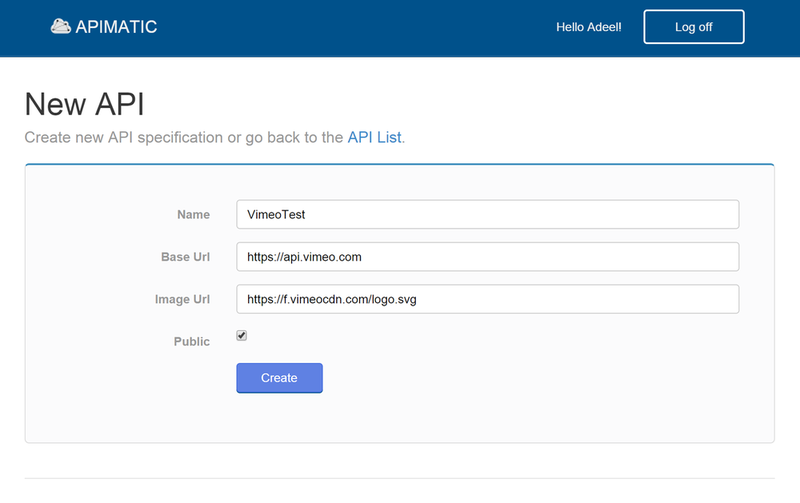 Runscope API tests currently supports validation against the v4 draft spec of JSON Schema. Let's run through an example. The method we’re testing pulls down the roster of players on a hockey team. The top level object is an array named roster. Each array item of roster contains an object named player, which has three required properties: player_number, guid and name. So, in this first step, we provide our Runscope test with the JSON schema. Note: This sample schema uses canonical references (see reference to player object). They're quite handy, especially when you're working in a larger schema with repeated use of an object. When we run the test, the results show our schema validation test as passing. It's easy to make mistakes when generating a JSON schema. If you need help creating your test objects, check out JSONSchema.net. If you need assistance setting up validation against your JSON Schema or general help with Runscope contact our support team at any time. Start monitoring and testing your APIs with JSON Schema validations by starting your free Runscope trial today. By Neil Mansilla on November 25, 2014 . Runscope developer advocate Darrel Miller shares a step-by-step instructional blog post on how to integrate AppVeyor (CI tool on Azure) with Runscope to accomplish rock-solid API testing. Fast iterations can be very valuable to the software development process, but make for more time spent doing deployments and testing. Also, more deployments means more opportunities to accidentally introduce breaking changes into your API. AppVeyor is a cloud based continuous integration server and Runscope enables you to do integration testing of your Web APIs, when these services are combined they can save you time doing the mechanical stuff and ensure your API consumers stay happy. The following steps show the key points to achieve this integration using AppVeyor, Runscope and Azure websites. By Neil Mansilla on September 30, 2014 . The following is a guest post from Adeel Ali from APIMATIC, a company that offers an automatic SDK generator for REST APIs. APIMATIC can import schemas/descriptions of RESTful APIs (WADL, Swagger, I/O Docs, API BluePrint, Google Discovery) and generate SDKs (Android, Windows, iOS, Java, PHP, Python, Ruby, Node.js). Adeel shares an easy to follow guide to building an SDK with APIMATIC and integrating Runscope. SDKs or client libraries are an argumentative topic in the API ecosystem. They are rightly criticized being expensive to build as well as painful to update and maintain. On the other hand, they are considered as crucial, which is evident from the fact that almost all of the top APIs come with SDKs. A closer look at the SDK criticism reveals that the actual pain-point lies in the current development lifecycle of SDKs, and it’s no brainer that if SDK development can be made efficient then it will be a win-win for everyone. A solution to the above pain-point is replacing the problematic manual development of SDKs by automatic SDK generation. Auto-generated SDKs are cost-effective, easy to update, and offer huge reduction in work-load. APIMatic.io is an automatic SDK generator, based in the land of Hobbits with the exact vision of better SDKs. APIMatic was founded in May 2014 by me and Zeeshan, and currently is in public beta phase, that means you can get SDKs for your API in 7 languages for FREE. More about APIMatic can be read in a review by Kin Lane. We met John Sheehan for the first time last week at APIWorld 2014, where he hinted about embedding Runscope’s API monitoring capabilities in APIMatic SDKs. The idea looked very intuitive because APIs are mostly accessed via SDKs, and by using Runscope powered SDKs, API providers could inspect/debug all of the request and response data traveling back and forth from the clients using their SDKs. The amount of convenience could be assessed by the fact that setting a single flag would automatically enable API debugging capability in SDKs in 7 languages (to date), while no settings would be required at the client side. The idea has now become a reality, and in the remaining of the post I am going to show how you can generate Runscope powered SDKs. Create a Runscope bucket, and copy the bucket key. 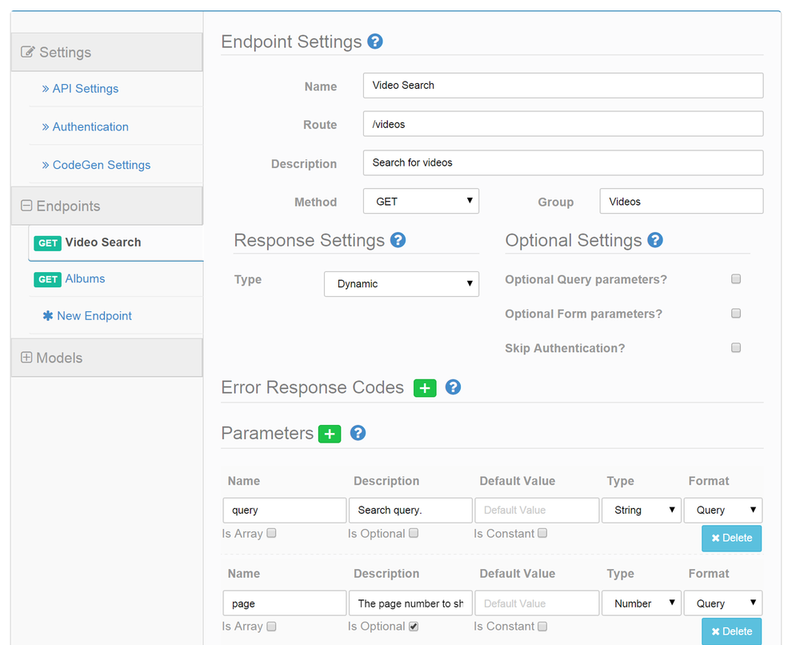 Specify an API description at APIMatic. The two ways to do it are: importing an API description, or describing an API from scratch. I am describing Vimeo’s public API from scratch here, and will only be specifying two end-points to keep the demo simple. Go to CodeGen Settings and enter the obtained Bucket Key from Runscope. Save the settings. Once the API is defined, go back to the API list, and click the validate button to validate the API description. If all is well, you will be presented with icons of different languages to generate SDKs. Choose your favourite language, and click the icon to download the SDK in a ZIP file. Unzip the contents of the downloaded SDK and open the Configuration file to provide your credentials to access the API. The contents of a generated C# Portable Class Library can be seen in the following snippet. It can be noticed in the Configuartion.cs file that the BaseUri has been transformed to the Runscope-desired format. If you are not using an interpreted language, you’ll now need to compile the SDK to get a compiled binary. There is a ReadMe file in the root folder file if you need any assistance. Now you have a (compiled) library in your hands which you can reference in an application. Here I am referencing and using the .dll file obtained from the previous step in a simple application. This application searches for videos on Vimeo against a provided keyword, and shows the total number of videos found as the result. The code to access the API functions via SDK can be seen in the snippet below. Go back to the Runscope portal, and select your bucket from the top left corner. You can watch all of the API traffic initiated by your app. The summary of the API calls originated by my application can be seen in the following snippet. Click on any particular call to see a detailed record, compare requests or responses, or play around with the other available options at a very friendly portal. Congratulations on generating your first Runscope powered SDK. I love hearing feedback, so please comment on the post, or send me an email. If you need any assistance, don’t hesitate to ask.